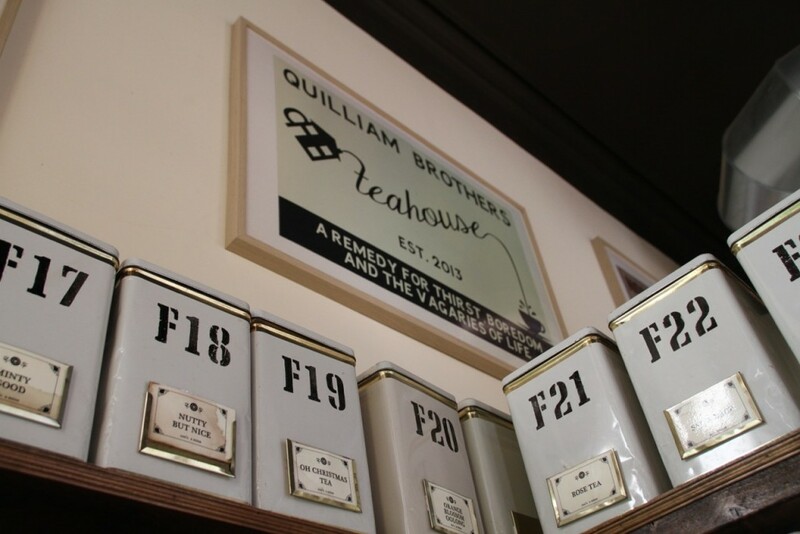 Two years ago, while I was still studying at Newcastle University, a little corner teahouse known as Quilliam Brothers opened around the corner from my department. It looked a bit quirky, with paper cutouts in the window, rustic wooden furniture and tins and tins of loose leaf everywhere. It soon became absolutely rammed with customers and any potential trips to have a decent brew while revising from my friends and I required a monstrous amount of advance planning, just so we’d manage to get in there. Such has been the rapid success of Quilliams’ over the past two years. 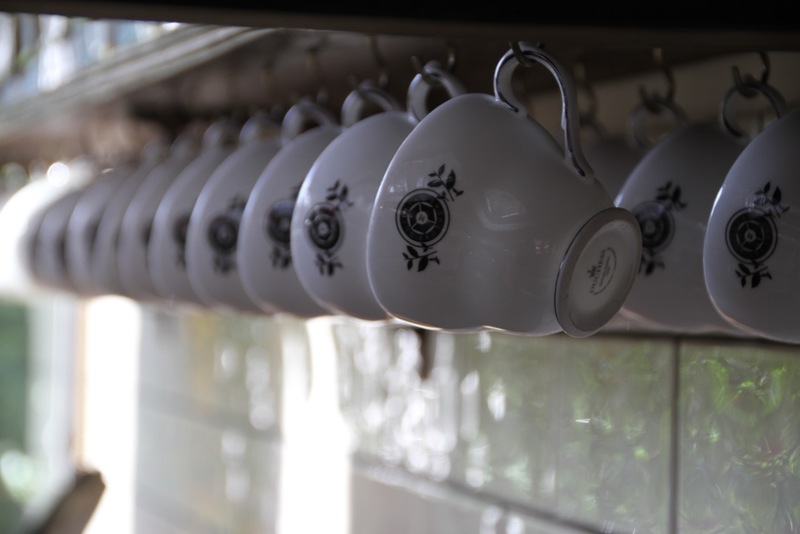 It’s the place to go for a proper cup of tea but is also a very cultured establishment, hosting regular film nights and gigs within its intimate venue space. This week Quilliams’ turns two, and to celebrate they’re hosting a special gig with three local acts, all associated with the teahouse in some way. I caught up with Sam Quilliam to ask more about what they’ve got in store for the night, the ups and downs of the past two years and what makes the perfect cuppa. Congratulations on being open for two years! What can you tell us about your celebration gig at the teahouse? The celebration gig is on Sunday 7th June. We have three local artists on- Mat Hunsley, Charlie Dancer and Shields. It will be really nice celebrating our second birthday with some great local talent. Mat puts on gigs at the teahouse sometimes and is a true regular, Charlie works for us and is certainly doing well right now with his music and I am good mates and massive fans of Shields! There will be alcoholic refreshment and a lovely atmosphere. Tickets are £5 (including free drink) and are available to purchase at the teahouse. They are limited so get yours quickly! You’re well known for running regular film nights at the venue; what first inspired you to sometimes turn the teahouse into a mini-cinema? Me and my bros are all from various arty backgrounds and loved the idea of having some spaces in the teahouse which would add a bit more to the place. To be able to show free films and display art in our gallery feels great. We wanted the teahouse to appeal to people on the evening and putting on film nights helped do this. The art gallery is another lure for people. What better then to drink tea and watch a film whilst enjoying the brush stroke of a local artist! What’s been some of your highlights running the teahouse over the past two years? Our greatest highlight has been the people we have met, both customers and staff. We never in a million years expected we would need so many staff but because it got so busy so quickly, we needed to recruit quite heavily. Getting to know and work with so many lovely people has been wonderful. One of our favourite things is having a great collection of regulars. Regular customers are paramount to a business like ours so we are really lucky to have such a lovely bunch! Conversely, have there been any challenges during your two years? There has been many challenges! Stock control (we get all of tea from all over the world), creating a new style of service and not really sleeping for the first year of its existence were some of our challenges! Quilliams’ is always really popular and usually rammed with people; did you have any idea how popular it would become when it opened? We had an inkling that the place would be popular eventually but we didn’t realise it would happen straight away. I guess the location, the building and the fact the idea is a bit different sat well with people. Our staff work extremely hard to ensure it is a nice place to be in and we are very happy indeed that the public have taken to it. Graft. Just graft nice and hard. Do your research, do your planning and graft. Also, nice tea. We have some things planned for hopefully very soon. Keep your eyes peeled! Finally, what do you think makes the best cup of tea? Me! No. Depends what you are after. Personally, for me, a nice delicate green tea (our premium green! ), brewed at 80 degrees Celsius for no longer than two minutes is the best! BeauTEAful! Shields, Charlie Dancer and Mat Hunsley all perform at Quilliam Brothers’ on Sunday 7th June.